The Forest Service quickly and seamlessly serves large amounts of imagery throughout its enterprise via an intranet. The agency has experienced improved collaborative planning and information sharing with other agencies. Imagery can now be fed down to the regional office or up to the Forest Service applications center level. As federal agencies are aware, the volume of imagery is growing at a rapid rate. The importance of updated imagery, including aerial and satellite, is also growing. Decision makers in many federal agencies need the latest high-quality images to visualize and analyze such activities as land use, forest quality, military operations, and emergency situations. However, one such agency, the United States Department of Agriculture (USDA) Forest Service, has struggled for years with providing its staff in its nine regions across the nation with the imagery they need. The Forest Service had limited imagery, including Landsat satellite imagery and digital orthophoto quadrangle (DOQ) imagery of Forest Service land, as well as digital elevation models (DEMs). Each of the nine regions was responsible for getting imagery of its own area and managing it, and some offices did not have the resources to obtain this imagery. Full extent view of NationWide Select one-meter imagery. The Forest Service's greatest challenge with managing its existing imagery was making it accessible across its large staff. There are approximately 10,000 GIS software users in the Forest Service, and many had difficulty loading the imagery into their IT systems because they didn't have enough storage capacity. Those who were able to load the imagery into their computers, via hard disks or CDs, often had to immediately remove it after viewing. The fact is, when images are needed, they are needed fast and are often expected in the same amount of time it takes a Web page to appear. To have this immediacy, the imagery must be stored on a server where users can easily access it without having to download or store huge files locally on their desktops. Therefore, with the goal of improving the delivery of imagery, the Forest Service recently implemented ArcGIS Image Server, which can deliver imagery to the regional, forest, and field offices within seconds. Now, the agency can quickly and seamlessly serve large amounts of imagery throughout its enterprise via an intranet, eliminating the need for users to download large files to their computers. The ArcGIS Image Server implementation is in Salt Lake City, Utah, at the Forest Service's Remote Sensing Applications Center (RSAC) where Mike Morrison, the training and technology awareness program leader, manages the image software program deployment for the Forest Service. "We had some people who were managing well, while others starved," says Morrison. "We were looking for something that would move us up to an enterprise-level imagery management system. We wanted to resolve storage management problems and be able to very quickly stream imagery to field offices." With its new GIS-server based technology, the Forest Service is now providing four main types of image services: NationWide Select, eTOPO, regions, and shaded relief. There are approximately 28 image services in all, which are published via ArcGIS Image Server. Combination using transparency of eTOPO, shaded relief, and aspect rasters of Colorado at a 1:10,000 scale. 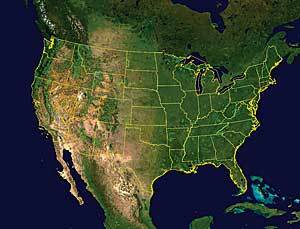 NationWide Select image service has the most-recent, high-resolution orthophotography (1 meter) available for the lower 48 states. This service utilizes as overviews eSAT 15-meter satellite imagery from Esri Business Partner i-cubed, along with moderate-resolution imaging spectroradiometer (MODIS) satellite imagery from the National Aeronautics and Space Administration (NASA). Also from i-cubed, eTOPO provides enhanced digital topographic raster maps at varied scales. Additionally, the Forest Service is using i-cubed's DataDoors archival and retrieval software to expedite imagery processing and delivery. 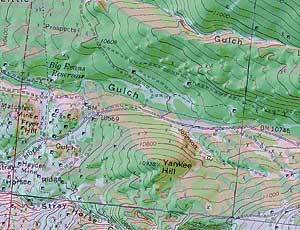 The Forest Service regions image service includes a soft-copy primary base series, which is a georeferenced raster image of the Forest Service topographic map, and digital raster graphics (DRGs). These datasets are at 1:24,000 scale and are available for the areas the Forest Service administers. The regions service also includes the secondary base series (Forest Visitor Maps); both products are produced by the Forest Service's Geospatial Service and Technology Center. 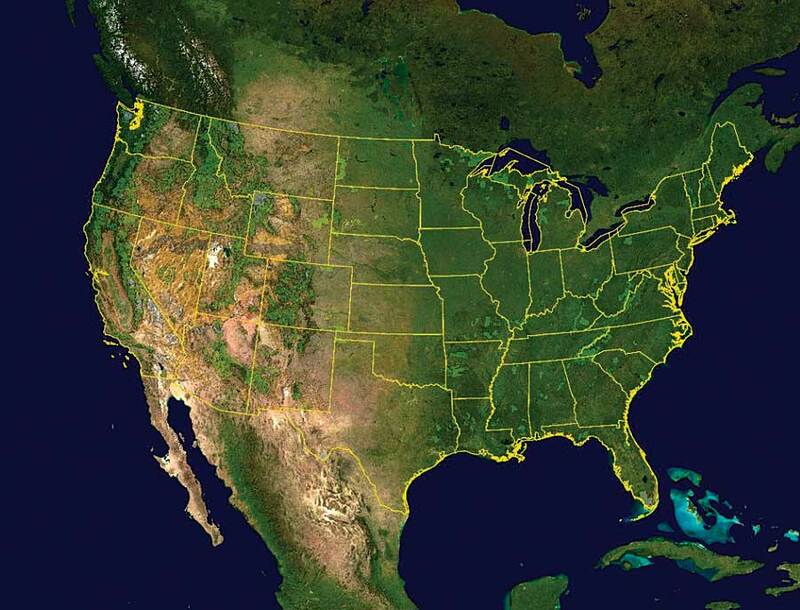 The shaded relief image service includes DEMs of various parts of the United States at 10-, 30-, 60-, and 200-meter resolution depending on location. This data enables users to create 3D effects when it's combined with other imagery. The most popular imagery the Forest Service is delivering is 1-meter color National Agricultural Imagery Program imagery that after some additional processing is included in the NationWide Select imagery from i-cubed. This high-quality, detailed imagery allows users to easily detect changes in landscapes. 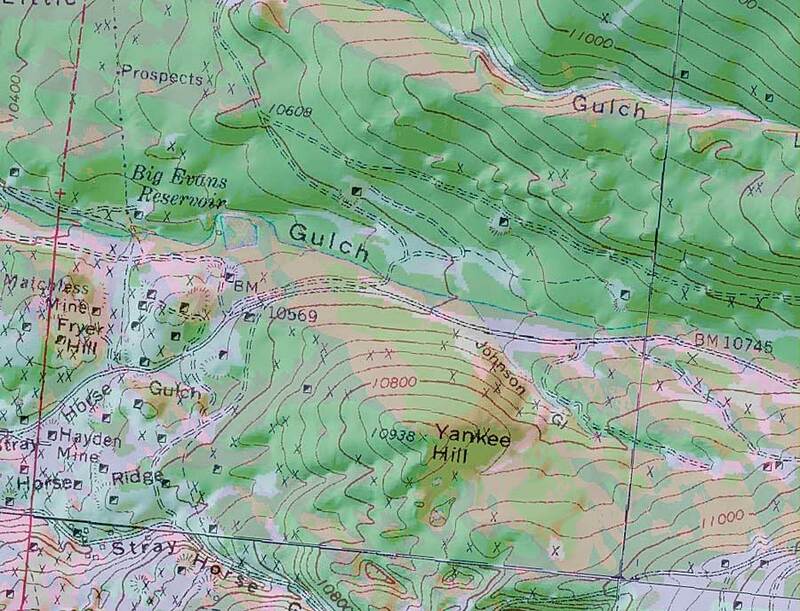 Users are generally viewing the imagery with ArcGIS Desktop software. Others are consuming it as a Web Map Service (WMS). Typically, users are able to access the imagery in a few seconds. In addition to dramatically enhancing its delivery of imagery to field offices, the Forest Service has experienced improved collaborative planning and information sharing with other agencies. For example, historically the Forest Service has obtained mapping data and aerial photography of its own lands. Since the data stopped at agency boundaries, there were often problems when joint planning projects took place with other agencies. Now, those agencies can access the Forest Service's image data for its lands as well as those beyond its borders. This is currently taking place in the state of Oregon as part of the Service First partnership with the Bureau of Land Management. The GIS-based server technology has provided cost savings across agencies and standards at a multiscale level. Another benefit is that just as the Forest Service is feeding imagery down to the local level, the regional offices are now feeding their unique imagery up to the Forest Service to enhance the imagery data at the RSAC level. One of the features of ArcGIS Image Server is its ease of integrating new imagery into existing services. "This software meets our main goal of creating and maintaining a seamless 1-meter product that covers all the ground in the lower 48 states and parts of Alaska at a different resolution," says Morrison. "It allowed us to get the areas we manage, as well as adjacent areas that are beyond our land, into a system that was easily accessible by our users. We're really pleased with that." For more information, contact Bentley Patterson, Esri (e-mail: bpatterson@esri.com; tel. : 303- 449-7779, ext. 8251).